Good morning Tiger fans, and welcome to another game day #wakeywhisky! No "e" in the whiskey today as this one is a scotch from the Lost Distillery out of (duh) Scotland. LSU is playing Troy State out of Troy, Alabama, and I don't have any whiskeys in the cellar from Alabama or that feature the Trojans, so the playbook is wide open. The good people at The Lost Distillery Company sent Jay a bottle of one of their offerings, and he's always ready to share, so here we go. 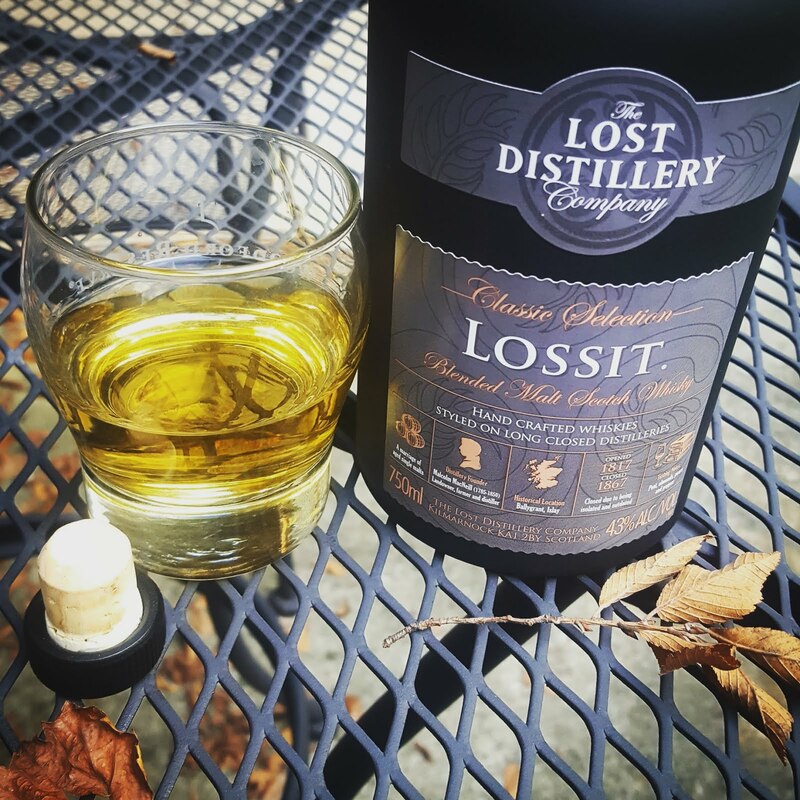 The Lost Distillery is a unique company in that it doesn't actually create their own scotch, but they instead research distilleries that have closed for various reasons throughout history and attempt to recreate their flavors by blending modern scotches with the same characteristics. They look at 10 different factors that go into scotch production and at historic records, blend and taste until they think it's as accurate as possible. This particular selection is from the defunct Lossit Distillery that used to exist in Ballygrant on the Island of Islay. I talked a good bit about Islay in a post a few weeks ago, so no need to go into that much depth again, but in general, expect some peat! The pour on this one is a very bright gold, and extremely clear. The nose is just as expected, peaty and pungent. The taste is amazingly complex, with hints of peat, a touch of smoke, a bit of sweet honey coming through and floral undertones. It's only 86 proof so not coming on too strong and there's no alcohol burn to overwhelm the palate either. After each sip there's a bit of a cherry medicinal finish and a tingling left on the tongue from the spirit. It's a very pleasant sip, and made even more complex by the blend... obviously I have no idea how close this comes to recreating the original, but it definitely reminds me of other Islay scotches, so it's probably on the right track. An interesting concept, and an interesting scotch. Now, let's all hope the Tigers come to play today and beat the Trojans of Troy State! Cheers, and happy Gameday to you all!